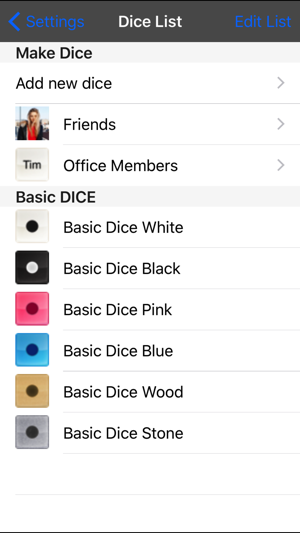 You can make dice anywhere anytime on the iPhone & iPad. Where should we go? Who should it be? What do we eat? We all come across a situation where decisions are hard to make. How about having a dice make the decision for you? We support all languages. Let's enjoy it anywhere and on any occasions: with your friends, office members, roommates, partners, family, at parties, and so on. Enjoyable all over the world! 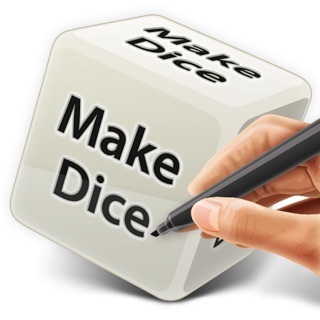 - Write a text on dice. - Add photo on dice. 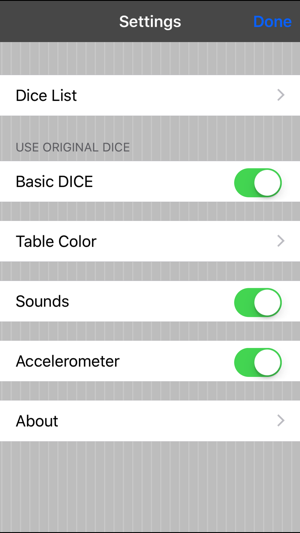 - Dice rolls when the device is shaken. - Up to 6 dice. - also possible to use favorite photograph a table from the photo album. - All the languages and signs can be input. - A favorite language can be expanded with the keyboard in setting > General > Keyboard > International Keyboards. 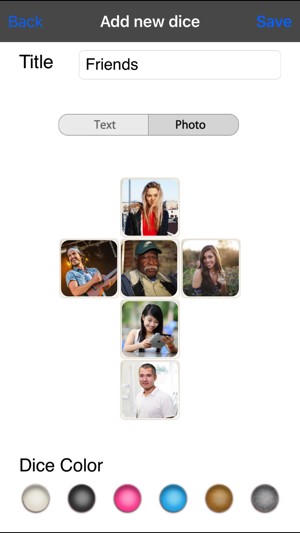 Totally worth the tiny price for the ability to use pictures. I've only had it for a few weeks and have made 5 games that target different speech and language goals. I love it because it's fast, easy to make the games and the dice don't end up on the floor when kids get silly with their rolls. The kids also get a kick out of it. One request. 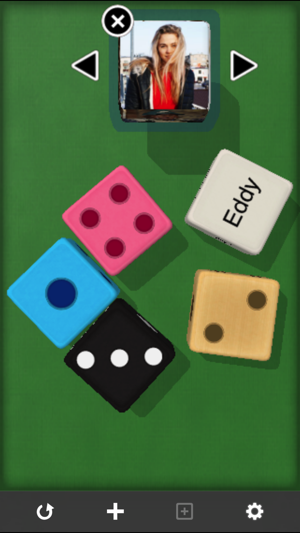 PLEASE provide an option to make the dice bigger. It can be hard to see some of the more detailed pictures and when using the app on the iPad, there is definitely room to make them bigger. The sound stopped working even though the sound is on. When students roll the dice, no sound is made. When I first purchased the app it was working. 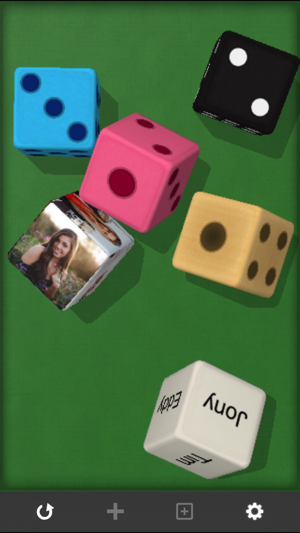 It would be better if you could roll multiple created dice at once. Being able to make dice with more than six sides would be nice as well.